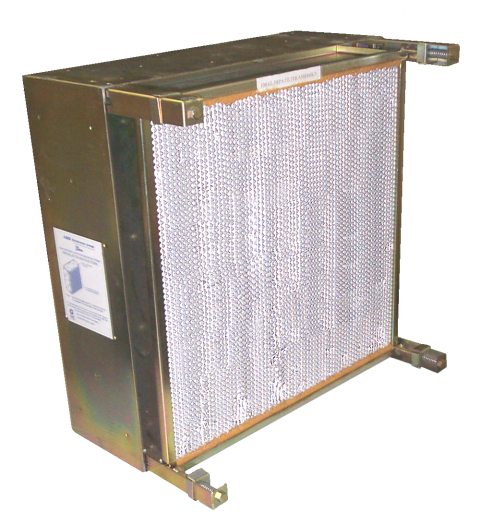 Specially-designed mounting frames for HEPA/Absolute air filters, to ensure a constant seal between the HEPA filter and mounting frame. The Email mounting frame system has been designed for use in single or multiple absolute type filter installations. Each 14 gauge zinc-dichromate plated mild steel frame is precision pierced to permit rapid on-site installation with 3/16″ diameter solid rivets. Before riveting, all sides of the mounting in contact with other frames or duct housings should be coated with a suitable mastic sealant.